Mac and cheese is a simple pleasure. But just because it's simple doesn't mean it shouldn't be taken seriously. Here at Complex, we understand your cheese needs, which is why we went on an insatiable quest to find the greatest dairy-covered-carbs to ever reside in a package. We ate our way through countless boxes, cans, and cardboard containers in search of a mac and cheese that could fool our finely-tuned tastebuds, committing carbo-cide just so you could eat a decent, faux-homemade meal. 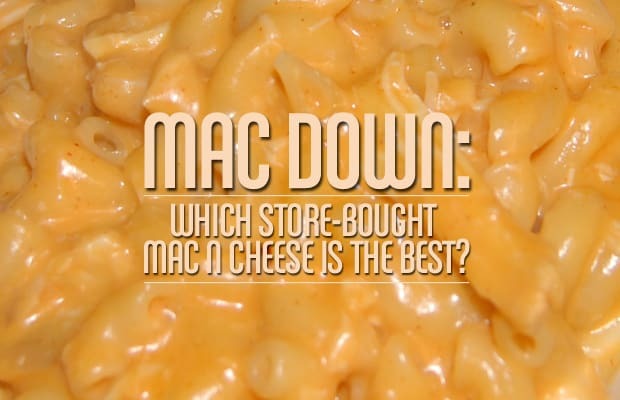 Here are the Mac Down finalists, the cheesiest contenders that also happened to require no recipe and zero effort—in short, the best mac and cheese money can buy. At least, at a supermarket. Because, let's face it, once those sub-zero temperature roll in, you'll be hungry and looking for an excuse not to leave your couch.